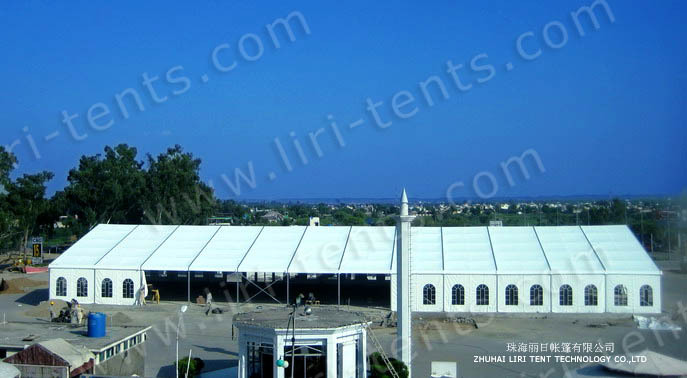 The tent, canopy and marquee tent can be widely used as the weddings tents, parties marquee tent, exhibition tents, conferences marquee tents, festivals celebrations canopy, corporate events tents or other outdoor events canopy, etc. 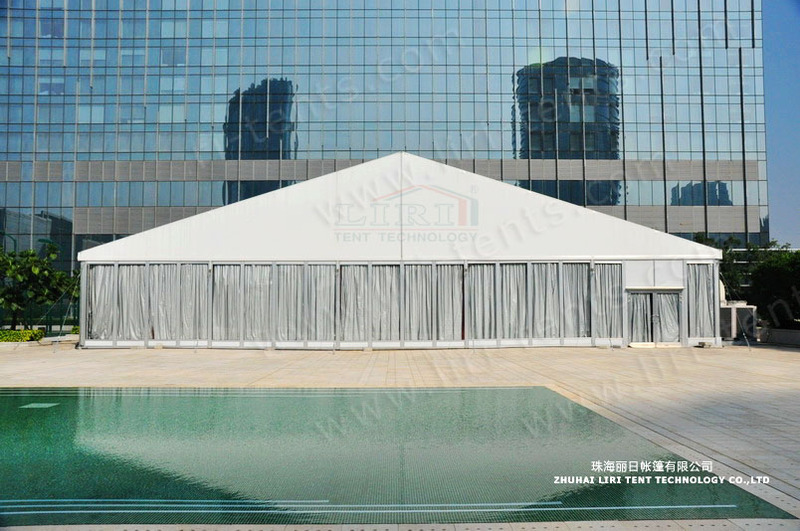 The clear-span of tent is from 10m to 25m, the length could be expandable by 5m, no limitation. Fabric (cover & sidewalls): 10years if well maintained. Aluminum frame and galvanized connectors: 20years if well maintained. 4)Door-Double-wings glass door, Double-wings fire glass door, Double-wings aluminun door, Automatic rooling door, one man door. 5)Decoration curtain and linning-Flat or pleated. 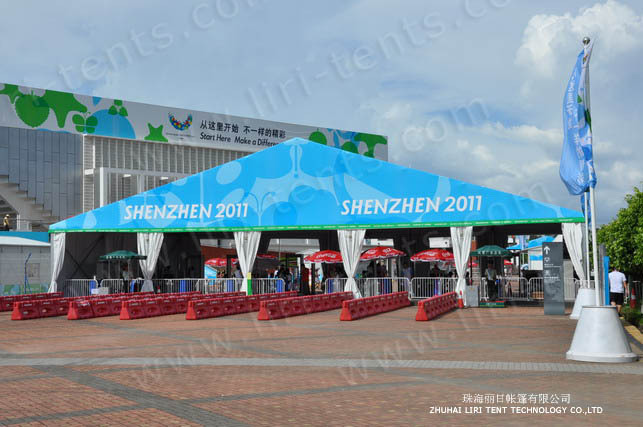 3) Tent cover–PVC carry bag.